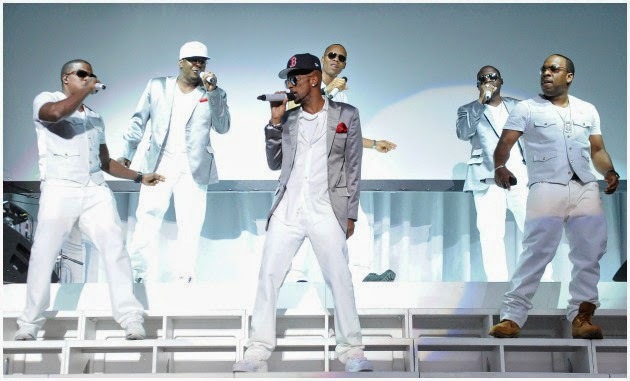 Bobby Brown Walks Off Stage During New Edition's Performance from Dailybuzz.ch on Vimeo. It’s no secret that Bobby Brown has lost a bit of his mojo when it comes to the stage. That’s to be expected with age. And when you add the dabbling of substances and alcohol to all of that…I mean… well…we’re just happy he’s still here. But the members of New Edition may be asking Bobby to shape up or ship out in a minute. During a recent performance in Mississippi, the group performed “If It Isn’t Love” complete with signature New Edition style choreography. If you know anything about the group, you know they’re very much into synchronization. And while we’re not holding them up to the standards of their younger days, we wouldn’t expect group members to straight walk off the stage either. But that’s exactly what happened last week. In The video, we see Bobby Brown miss a couple of steps, bend over like he’s trying to catch his breath and then finally just walk off the stage. Even though Bobby is not as svelte as he used to be, we’re wondering if it’s more than him just being out of shape. I mean I’m sure they had rehearsals before the performance. And if the group sensed that he wasn’t able to complete the moves surely they would have adjusted them for him or nixed them altogether. Perhaps there was something else going on, another health issue. Who knows. But this certainly doesn’t look good.